I’ve talked about how Mr. Ink has requested some handknit socks, or at least decided it might be ok if I knit him some, but I don’t think I’ve taken a picture of said socks. 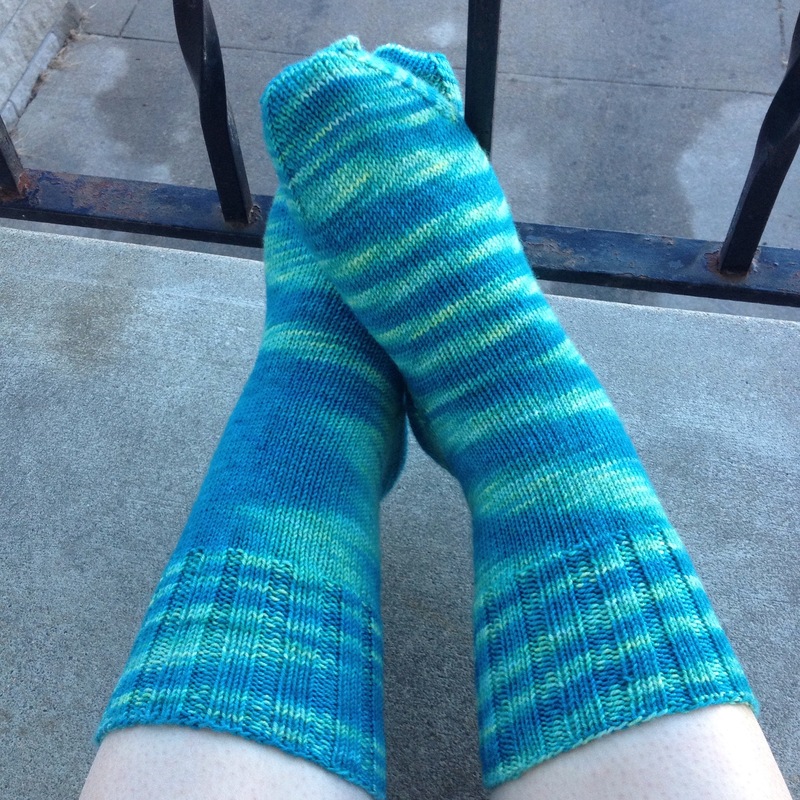 We came to an agreement, I’d knit a pair of very plain colored socks as long as I could knit some fun and crazy heels and toes. This serves two purposes, the first being a bit of extra interest for me, and the second is to stretch the yarn I have available for those socks. After all, his size 13.5 wide feet technically need more than one skein. I’ve decided to go toe up with these, and include an afterthought heel. I will then be able to weigh my skein once I am at the leg in order to be sure I can use up as much as possible without running out of yarn. They’ve come fairly far in a short time, but I tried them on him a couple days ago and they didn’t even cover where his little toe starts. This is a project that will be a long one. But, they are March socks, so that’s ok. On the other hand, it would be nice to have them done for his birthday mid February. We’ll see how that goes. I am certainly finding that I need regular breaks though, and need to work on other projects during those breaks, just to stay interested in knitting. For now. I think it’s high time I get back to other types of knitting. In fact, I am beginning to welcome the idea of other types of knitting. This third howl is again out of Marja’s handspun. The fiber is from Loop! and because of this, there’s a bit more of it. Enough so that I am not feeling like I must worry over each row. And I might even add additional embellishments to this one. But first? First I’ll need to knit a few more rows. Another “Howl” just came off the needles. 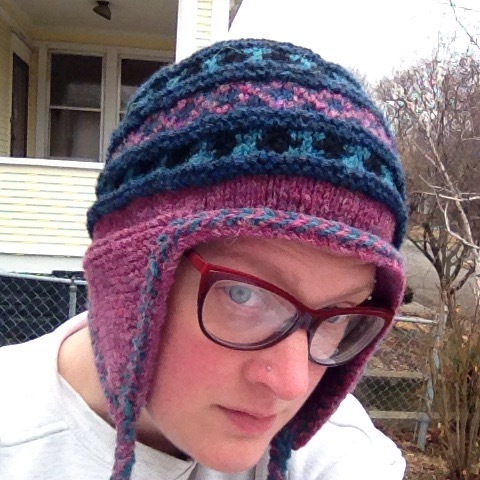 In other words, I knit another Emergency Hat. This one is, technically, more hat than cowl, as the hat itself barely even fits an adult. 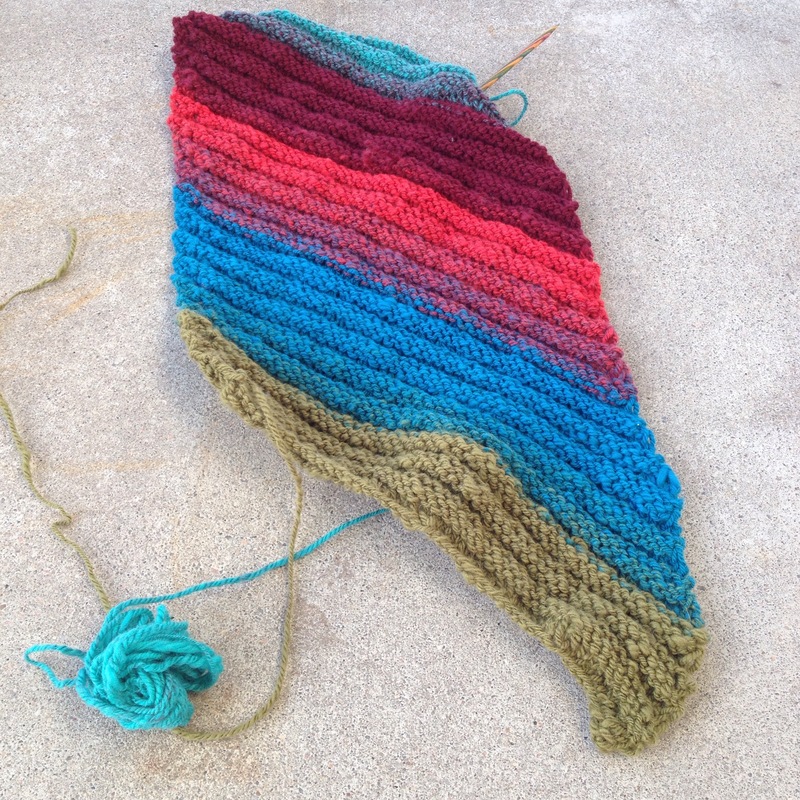 The yarn is Marja’s handspun out of Dyeabolical’s katatomic colorway, on BFL Firestar. 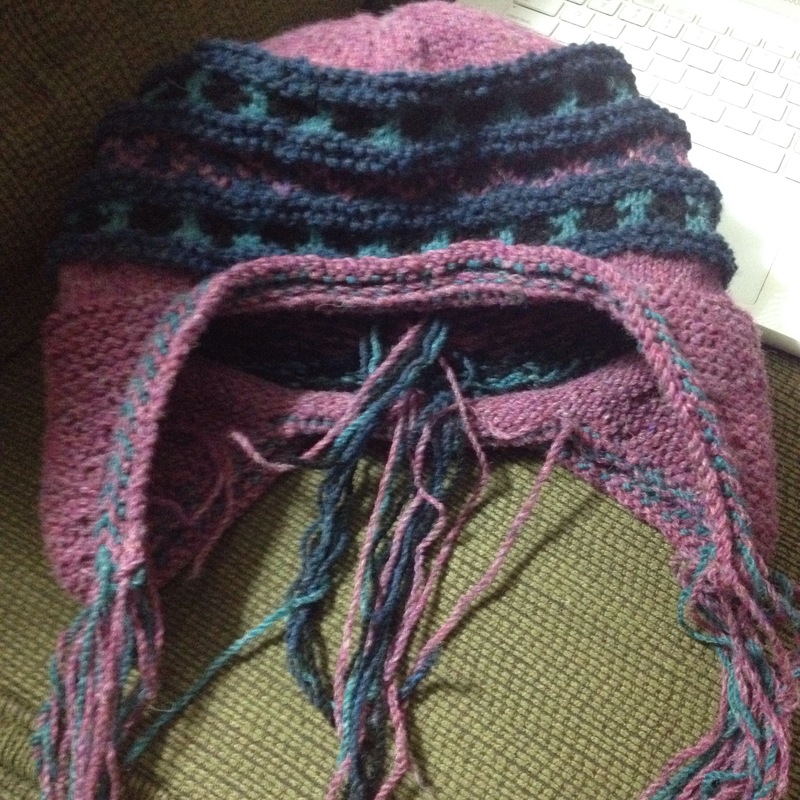 I used every last bit of the yarn for this one, and JUST squeaked by with a full hat. So, it’s going to go to a kiddo, either mine or Marja’s niece. Don’t be fooled though, I am still on a mission with these hats, and already knitting another out of Marja’s handspun. A loop bump, so I’ll have a bit more to work with this time around. I am not tired of them yet! What pattern has so captured your attention that you just knit it over and over? I need another one of these in my life! I’ve been trying to motivate myself to walk more on the non biking days. I am very active, but I feel that a bit of other than biking activity is necessary. Running never goes well, though I often do it. But, I figured the best way to motivate myself in decent weather was to spin while I walk. It did motivate, in two ways. It motivated me to spin more, and I’ve taken a walk 3 days in a row now. 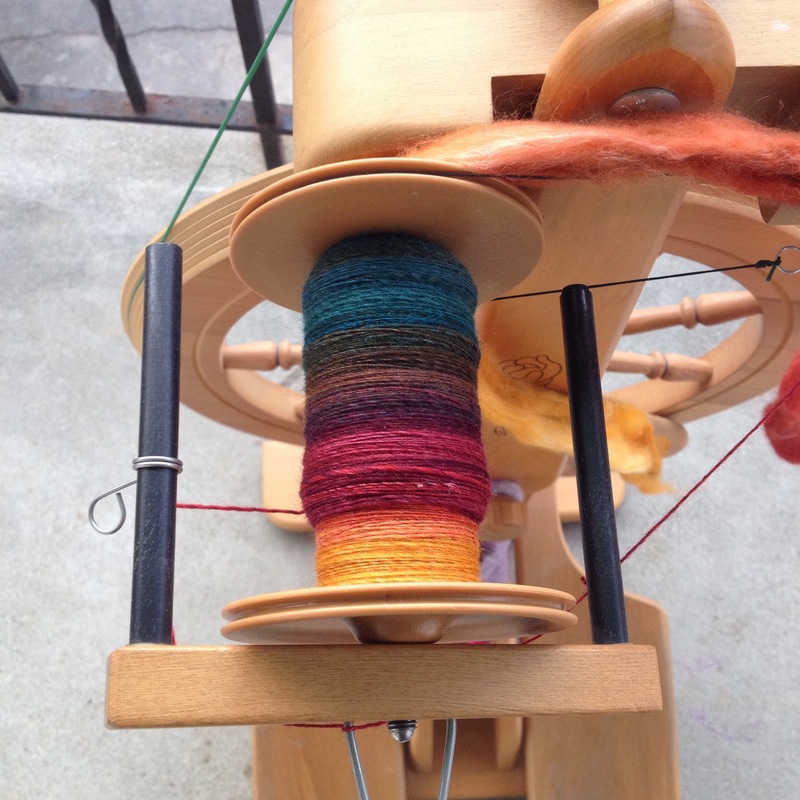 I’ve even been support spindle spinning at home. It’s quite a bit of progress really. Progress I am very pleased with. There’s this hat. The Oh Snapp! hat, that I’ve been wanting to knit for absolutely ages. It calls for Black Water Abbey Yarns for the hat. I had two skeins of worsted in stash, and I bought small amounts for the colorwork. Again, this was ages and ages ago. I recently went through all my knitting books and patterns in an effort to weed some of them down a bit. While doing so, I came across the pattern for the hat. I should clarify that the pattern is not mine, so it needs to be returned to its owner. I figured I’d whip up an Oh Snapp! hat this weekend and then the pattern would be free to be returned. I took a quick shot of the almost complete hat, because there were so many ends to weave in! Thankfully, a lot of them were braids as well, so it wasn’t too overwhelming. 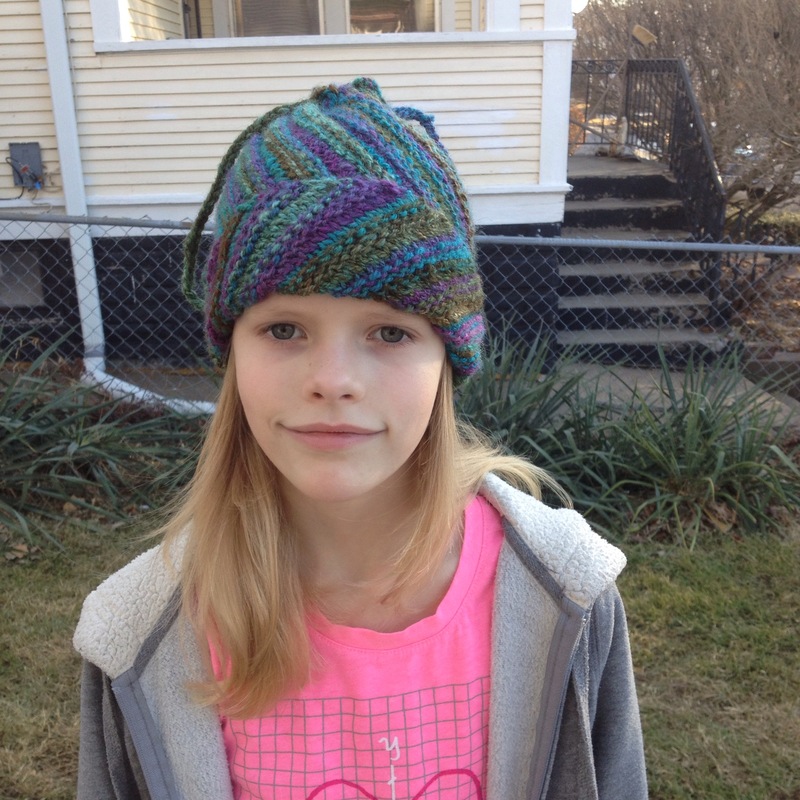 I knew the hat was going to be big, even though I knit the smallest size. And it was, so I decided to throw it in super hot water and attempt to full it a little. Once I pulled it out of the water, it had grown rather than shrunk. So, I figured since it currently covered my eyes, I’d just try throwing it in the dryer with a load of clothing. One full dry cycle later, I had an amazing hat! The yarn softened beautifully, it shrunk up nice and tight, and all of that made my colorwork look really nice. For real, I will probably knit a few more of these. 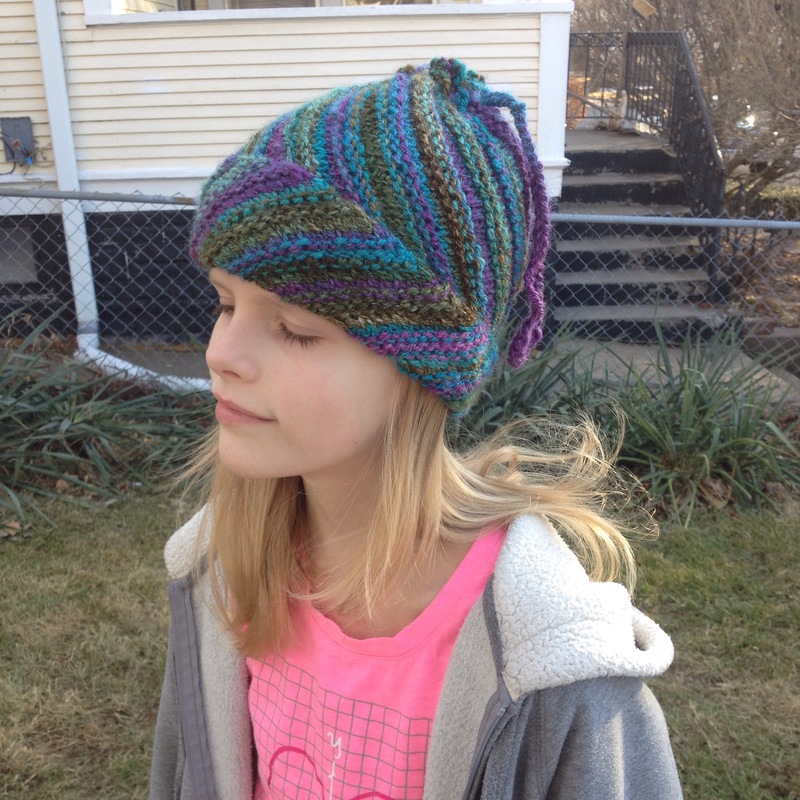 It’s super cute, and was a lot of fun, and I hate knitting hats! My February socks are done. 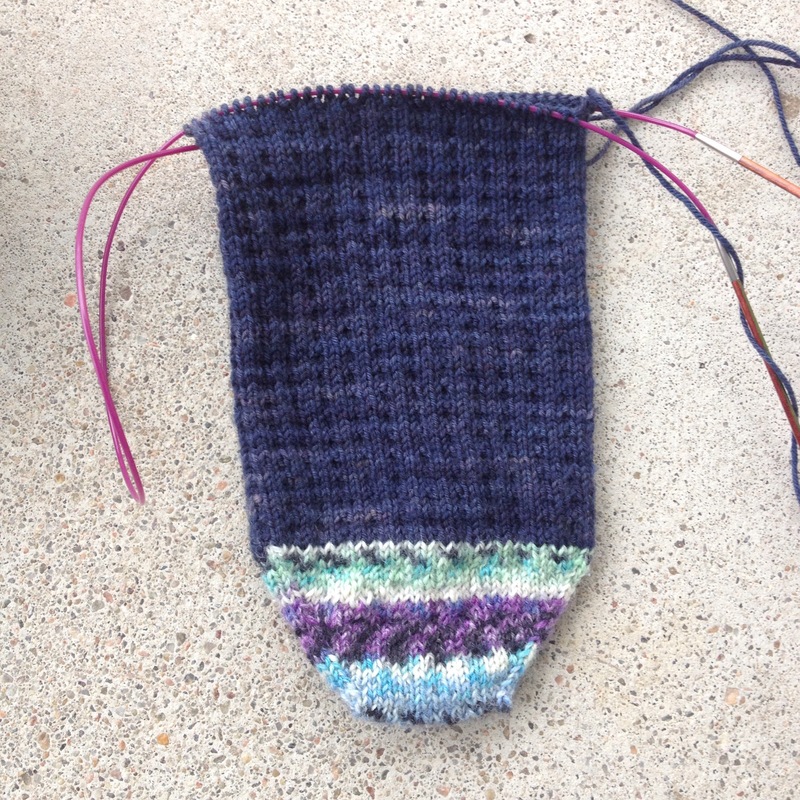 The problem with knitting socks over an entire year is gauge. This has always happened to me. I use exactly the same needles, but end up with a gauge change anyhow. It seems that for the second pair I knit quite a bit tighter. I think it matters little in the end, I’ll never notice once the socks are in shoes and I am regularly wearing them. But at this moment it’s quite noticeable. Has this ever happened to you in between sock one and two? I am trying to get better at eliminating the “shoulds” in my fiber world. 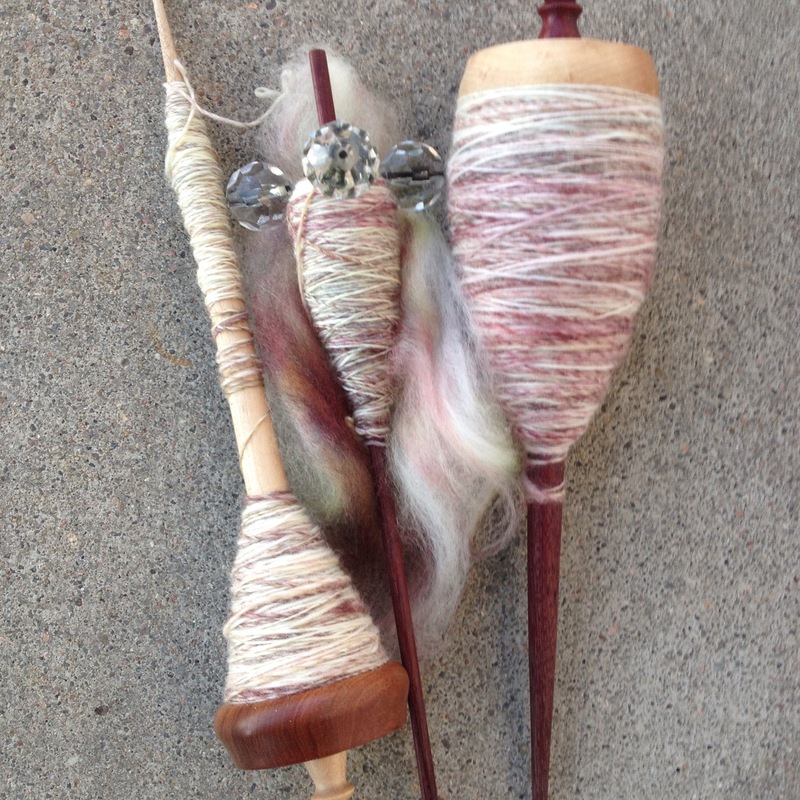 I’ve been shoulding all over myself lately about my lack of spinning in the winter months. But, then I went back through my blog posts over the last 2 summers and realized that there’s entire months I don’t knit in the summer. It balances out, I just have trouble remembering that. So, I think I am just going to try to spend a night a week at the wheel. And I did that this week, working on my Smaug braid. It’s pretty much full of gorgeous. This is just under 2 oz. out of the 4 I have of the braid. 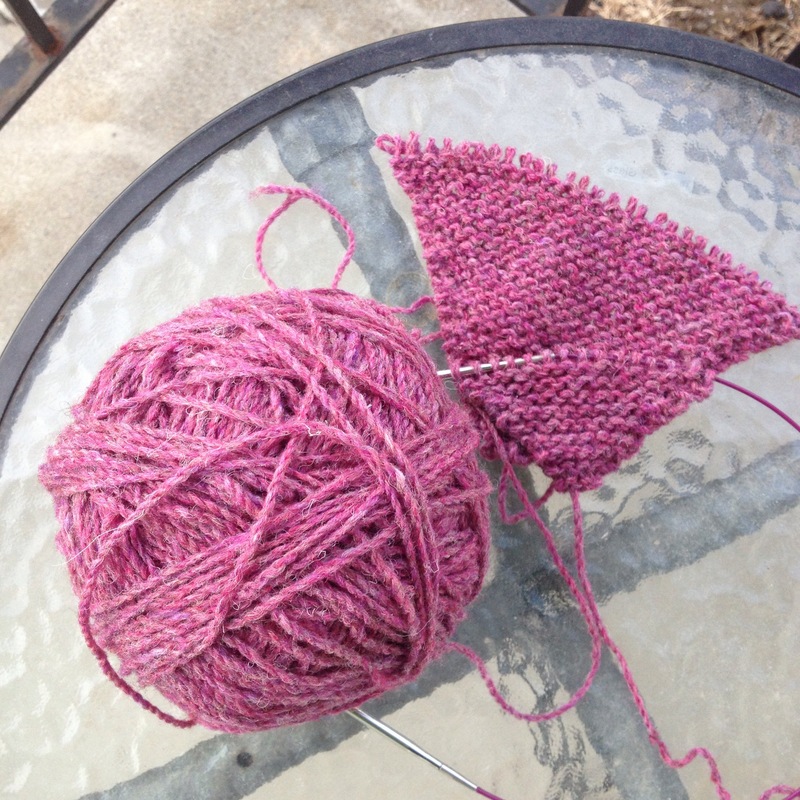 As for knitting, I am almost done with my february socks, and I just started a new project. Yeah, I have a habit of thinking this is a good color, it’s almost exactly the same shade as my grandpa cardigan. To be fair, it’s leftover yarn from a project awhile back, it’s not like I went out and purchased that color all over again so quickly. I am hoping to finish the project this weekend.